The countdown to IPL 2011 has already started on the official website. The matches will broadcast live on SET MAX. But if you don’t have cable connection or if you want to watch it in your school, college or office then you can watch the live stream online. All the matches of IPL 2011 will broadcast live online on official channel of YouTube. YouTube is the best way to watch every match of IPL online for free without any interruption. 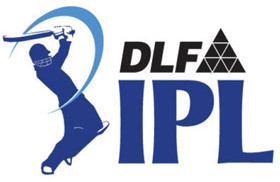 The schedule of the matches to be played in IPL 2011 has already been released by BCCI and you can download a PDF file of IPL 2011 schedule from here. Will youtube show the the live broadcasting of matches or that will recorded .I love cricket and want to watch this IPL . Thanks for providing the link but until last year, Youtube only showed clippings of the match an not the entire match. Are they going to show live matches from this year on? Youtube doesn’t broadcast this IPL season. It is by India Times I think.